Established in 1931, Debevoise and Plimpton is a well-known law office that has the mission of extending sophisticated legal services.  It has the honor of being one of the most prestigious law firms in the U.S. The firm stands among the most flourishing firms on the global level as well. It has the tradition of seeking excellence in a wide-ranging, modern practice that includes America, Europe as well as Asia. There are as many as 650 legal professionals in its 8 offices dedicated to serve the world. It has a highly efficient team of lawyers that are responsive and thoughtful. The professionals here are also known for their aggressive approach and strong advocacy helping clients to get the most powerful representation. Debevoise and Plimpton understands the needs of clients’ businesses and the marketplaces in which they compete and its leading practices that have global focus helps it to extend effective solutions to its clients. People with different legal concerns can get in touch with this law office and be sure to avail legal advice that will work in the best of their interest. The clients of Debevoise and Plimpton include some of the most reputed corporation and businesses in addition to individuals from all walks of life. A leader in corporate litigation and large financial transactions, putting trust in this law office is the best way to achieve legal objectives. Other than its primary solutions, Debevoise and Plimpton is also well recognized for its community services. Pro bono legal services are in fact an important part of the firm. Its commitment to serve the community is deep and longstanding. This is why the office is involved in pro bono matters every year. Its untiring efforts in community work helped it rank among the top firms in The American Lawyer’s annual pro bono survey. The firm is also part of The American Lawyer’s "A-List".